Beavers Bend Lodging is located north of Broken Bow, Oklahoma near Beavers Bend State Park in addition Broken Bow Lake. We offer a collection of 1-4+ bedroom cabins for all types of vacation getaways. Our Broken Bow Cabins are perfect for 2 people wanting to spend alone time, honeymooning and of course groups, We can accommodate those looking for spending time with loved ones. Our Beavers Bend and Broken Bow Cabins are equally favored destination by city and country folk alike looking for a vacation in Broken Bow, OK. Located near Broken Bow Lake, Trout fishing is available in the richly abundant waters of Mountain Fork River. Furthermore, if you’re an outdoor person then the forest area will be fun to explore. Our cabins near Broken Bow Lake and Beavers Bend are anything but rustic as a matter of fact they have all the comforts of home. You need to bring only your food coupled with your clothes! It’s that easy. All our cabins are tucked into the forest in areas surrounding the lake and park. There is such an abundance of natural beauty together with attractions you can’t find anywhere else. Please don’t let distance to the lake or the park be a decision when selecting one. Pick the one that best fits your needs. The lake and the park are only a 5 - 10 minute drive from any of our 60 cabins. Our goal is to make your stay as enjoyable as possible not to mention worry free. Take a few moments to explore our website as well as find your perfect getaway rental. Please let us help you select the perfect location. In the event that you a avid golfer? Our cabins together with the Cedar Creek Golf course is the perfect location for you. Girlfriend Getaways together with our cabins make an excellent girls weekend retreat. Visit Girls Gone Wine, a fun place to taste, select, not to mention bottle your favorite wine. 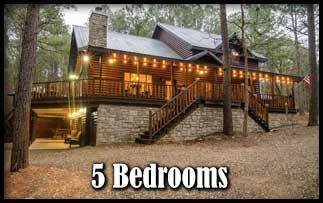 Honeymoon Cabins: Planning your Honeymoon near Broken Bow Lake? 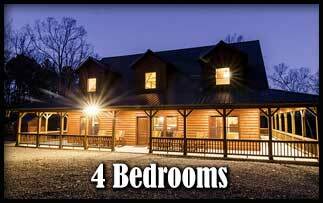 Enjoy a secluded Beavers Bend cabins coupled with a hot tub for your special time away together. The Corps of Engineers manage Broken Bow Lake. likewise no Broken Bow Cabins are not allowed to be built, to retain the waters crystal integrity. Granted that we have no traffic jams while you enjoy the beautiful site seeing. ATV Outings: Oklahoma ATV rules and access have changed in addition ATV riding is prohibited on Three Rivers Wildlife Management Area. You can still ride in the Oklahoma Ouachita National Forest.